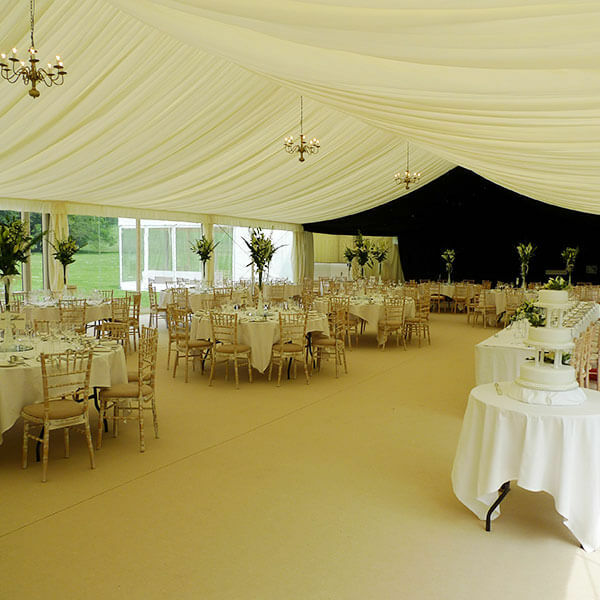 A marquee makes the ideal venue for a wedding or any other type of special event such as a birthday party. 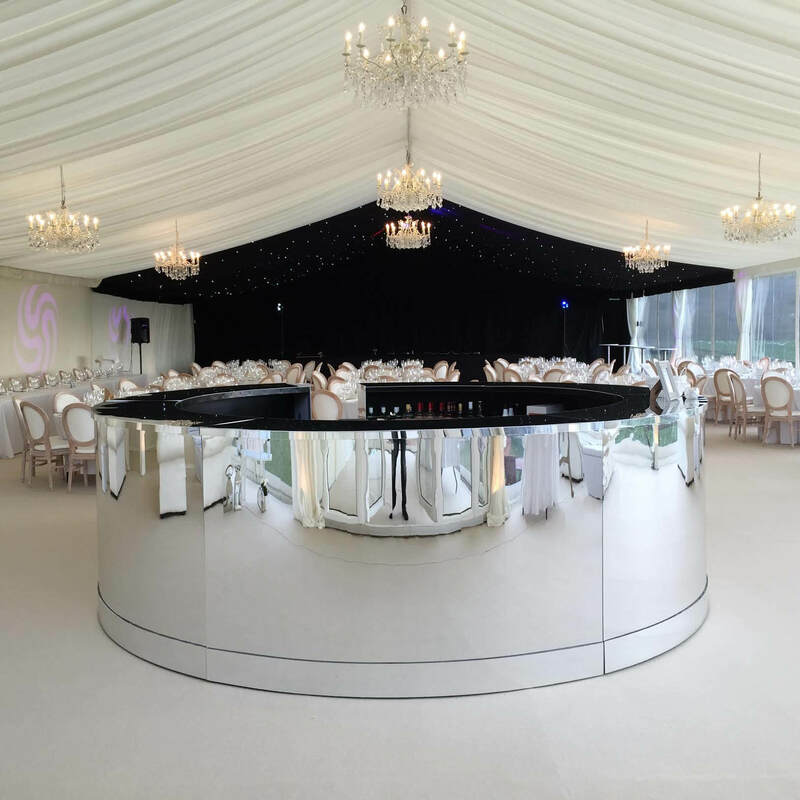 One of the great things about hiring a marquee is that it can be used come rain or shine and there is plenty of space inside to hold a large number of guests as well as plenty of tables and chairs and even a stage for a band if desired. The rustic theme is very popular right now and can be created simply and fairly cheaply. 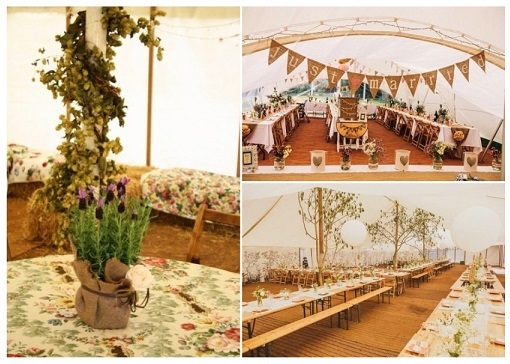 Here are a few top tips on how to make use of the rustic theme for your next big event. 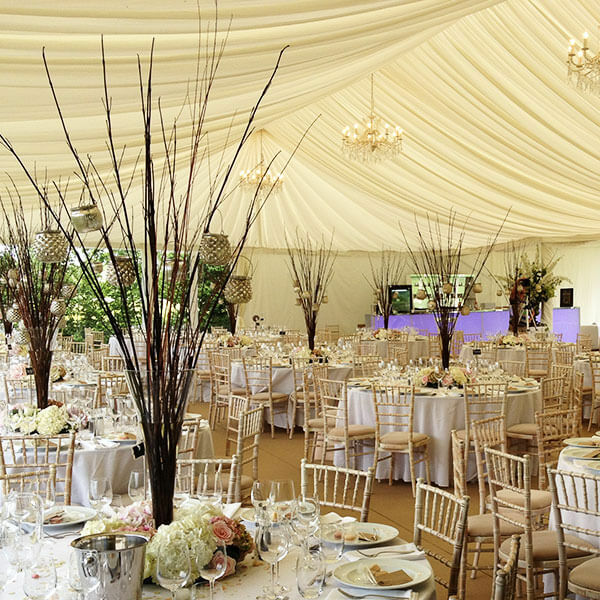 Drape long tables with white tablecloths accented with charming rustic burlap runners as well as fresh wild flowers. 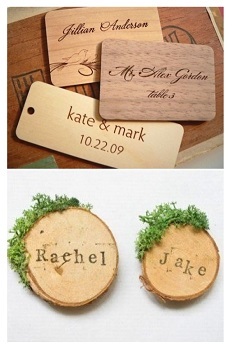 This gives the tables a personal touch that is sure to make a big impression with your guests. 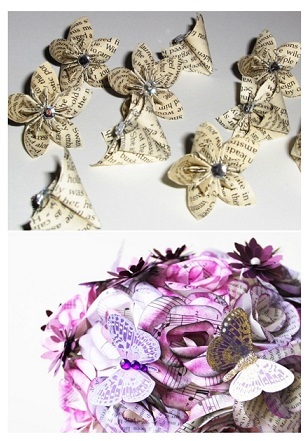 Paper flowers make a great centre piece for the rustic look. One of the great things about opting for paper flowers is that you can create them from coloured paper that perfectly complements your party theme. You can also use light coloured fresh flowers mixed with a few twigs to create a charming rustic centre piece that is simply bursting with life. You can also use twigs to create bird’s nests and fill these bird’s nests and fill them with small, white oval shaped pebbles to represent eggs. Candle holders made from twigs to create a nest look can be extremely effective and perfectly embrace the rustic look. Candles places in coloured glass bottles also add an attractive splash of colour. When selecting glass bottles, make sure you find a large number that are a similar size and shape. Blue glass bottles work particularly well with the rustic theme. 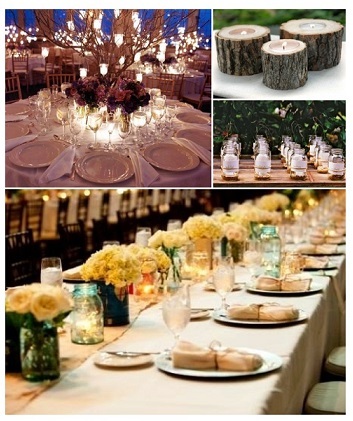 For a really decadent yet charmingly rustic look, fill glass jars with candles and hang them from small trees placed around the edges of your marquee. Instead of the traditional and rather boring place cards with the guests’ names printed on them, create rustic wooden plaques. These can be placed on tables before the party so that guests know where to sit. Use small logs to place stands of cookies, cakes and other goodies on. This special dessert table can be decorated with dried fruit, candles and flowers to further create the rustic look.